Abstract Banana, a photo by Stimpdawg on Flickr. I created this abstract banana art for MIM in Virginia. She sent me a banana postcard for Banana Day on the BANANAS IUOMA group. 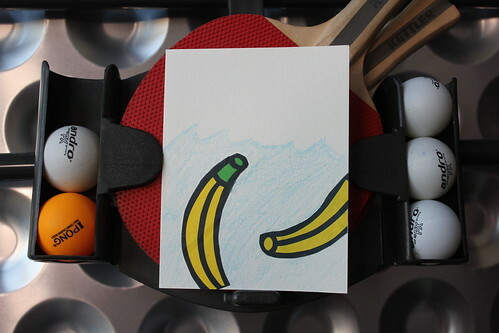 Floating Bananas, a photo by Stimpdawg on Flickr. Floating Bananas mailart I made for Carina in Finland from the BANANAS group on IUOMA. 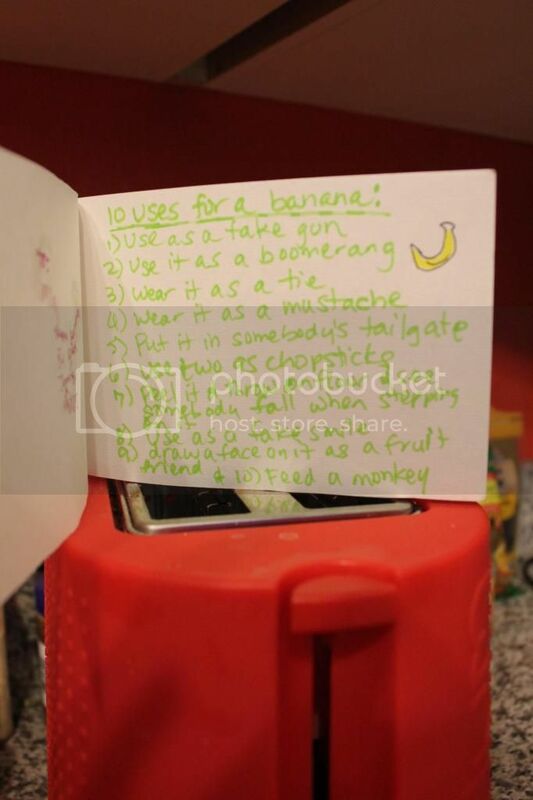 I was thinking about if banans floated or not so I looked it up and saw videos that they did with the peel or without. Here’s my favorite pics of the first half of the March Photo a Day pictures. The first picture is me with a hat over my face. A couchsurfer told me I should put a towel on my face for the Faceless Self-Portrait, but I couldn’t figure out how to keep it on my face while I took the picture. So, I saw my hat and thought that would be funny covering my face. The second photo is Ivan playing the piano. I love when he plays the piano – it’s always beautiful. He’s quite talented. Sometimes I sing along while he plays. 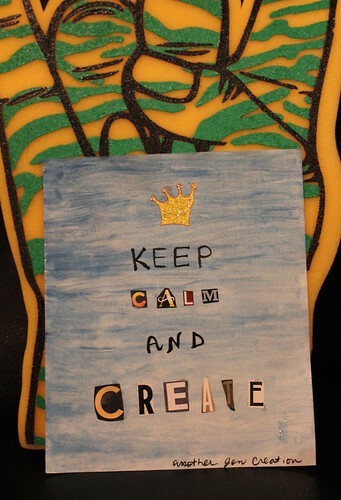 Keep Calm and Create, a photo by Stimpdawg on Flickr. What shall I do with this banana? 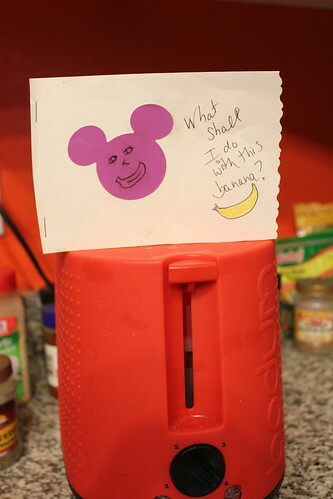 What shall I do with this banana?, a photo by Stimpdawg on Flickr. 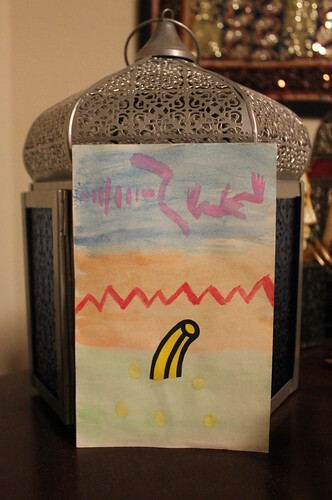 Here’s a banana mailart I made for MIM from the BANANAS group on IUOMA. 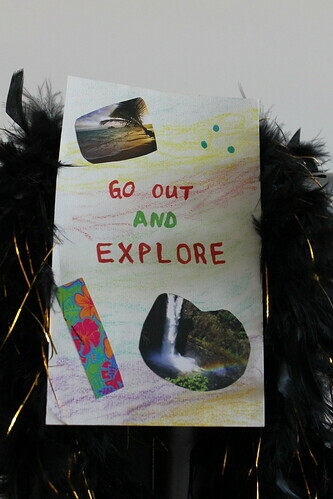 Hawaiian themed Go Out and Explore, a photo by Stimpdawg on Flickr. Twisted Circus, a photo by Stimpdawg on Flickr. 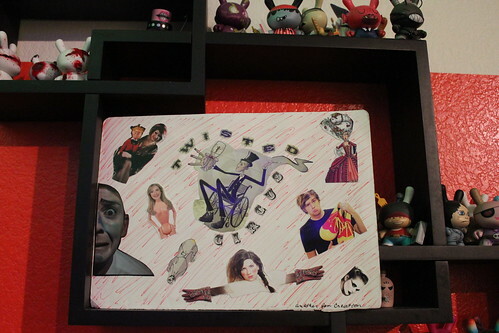 Here’s a circus themed collage I made for Austin in Dallas who I met on IUOMA.